Toast the season with some of our favorite vino varietals. From decadent to effervescent, these wines are seasonal must-haves. No holiday is complete without a bottle of wine (or three). 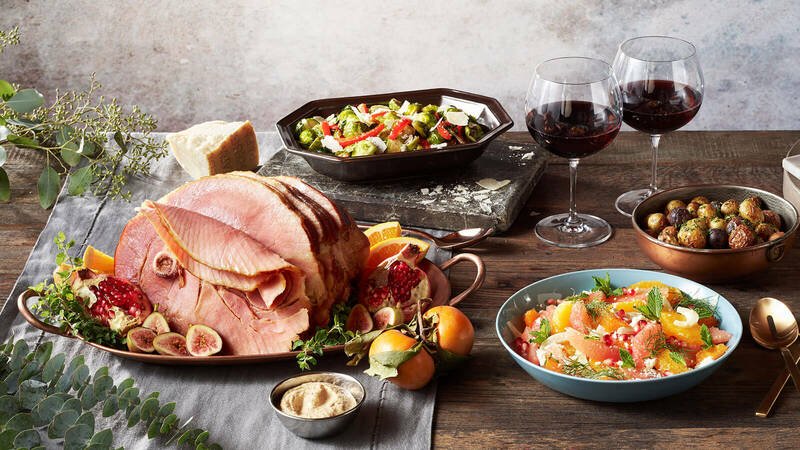 Whether they’re tried-and-true favorites, new selections or special vintages, keeping a few go-to varietals on hand is a delicious way to enhance your dishes and add a touch of warmth to any gathering. Ready for a taste? Here’s an overview of five wines that are extra-versatile and a pleasure to sip: Prosecco, Chardonnay, Rose, Pinot Noir and Cabernet Sauvignon. This sparkling Italian white wine is made from the Glera grape, which dates back to Roman times. The name “Prosecco” comes from the Italian village near Trieste in northeastern Italy, where the grapes may have originated. Often described as intensely aromatic and crisp, Prosecco boasts flavors of yellow apple, white peach, pear and apricot. We recommend serving it well-chilled or mixing it into a refreshing wine cocktail, such as a Bellini, Mimosa or our own holiday favorite, the Poinsettia. Pro Tip: Never remove your thumb from the top of the cork while opening. Remove the foil from the bottle, place your thumb over the mushroom cork and remove the cage. Then gently turn the bottle from the bottom, holding the cork firmly until it opens with a festive pop. Food Pairings: Prosecco is often served as an aperitif but also pairs beautifully with seafood, spicy cuisine or dessert. If we had to sum it up in two words, Prosecco goes best with “party food” and is a delicious way to celebrate the season! 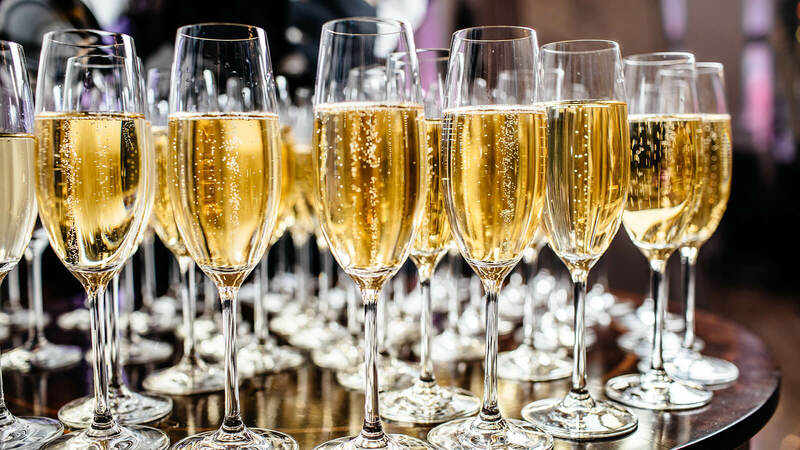 Fun Fact: Prosecco’s secondary fermentation takes place in stainless steel tanks instead of in the bottle which make it more affordable and accessible to the world’s population. In addition, this means less contact with the “lees” or yeast sediment, allowing for a lighter, fruitier taste profile. Astoria Prosecco DOC - DOC wines are produced in specific regions and follow a precise set of rules designed to preserve traditional winemaking practices. Astoria is a family-owned winery in the Veneto region of Italy. 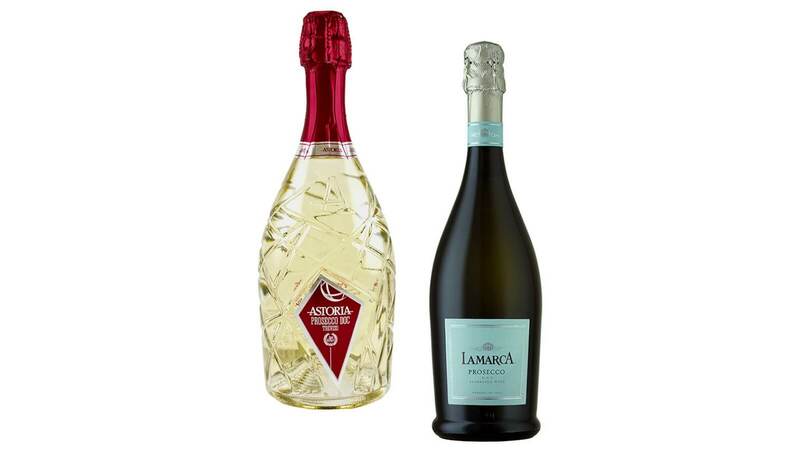 Their Prosecco has very fine bubbles, floral aromas and fruity flavors of pear and golden delicious apple that linger on the palate for a well-balanced finish. La Marca Prosecco - The Glera grapes used to make this wine come from the La Marca Trevigiana zone in the heart of Italy’s lush Prosecco region. Golden-straw in color, La Marca is delicately flavored with lively effervescence and aromas of fresh citrus, honey and white flowers. The palate is fresh and clean with ripe lemon, grapefruit and green apple framed by mineral undertones. 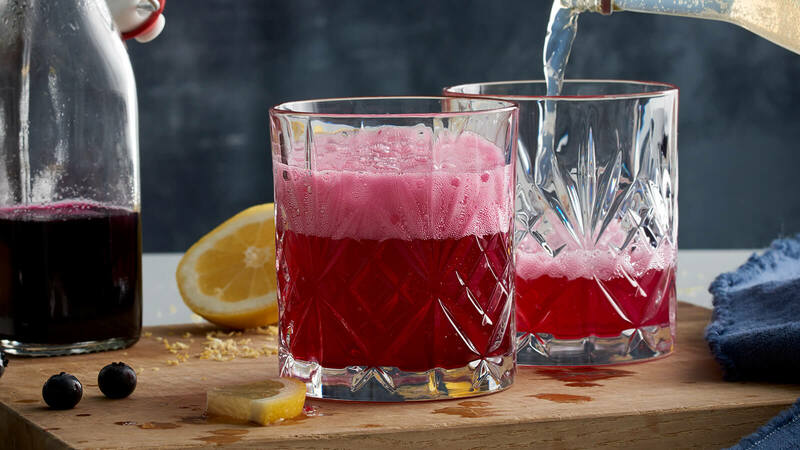 Drop a couple of berries, pomegranate arils or a Luxardo cherry into your drink for a pretty pop of color. Add a twist of lemon (use a channel, peeler or knife to cut a thin strip of the peel and then twist it into a corkscrew shape with your fingers). Place a wild hibiscus flower in your glass—not only do they look beautiful, but they also have a delicious sweet-tart flavor. 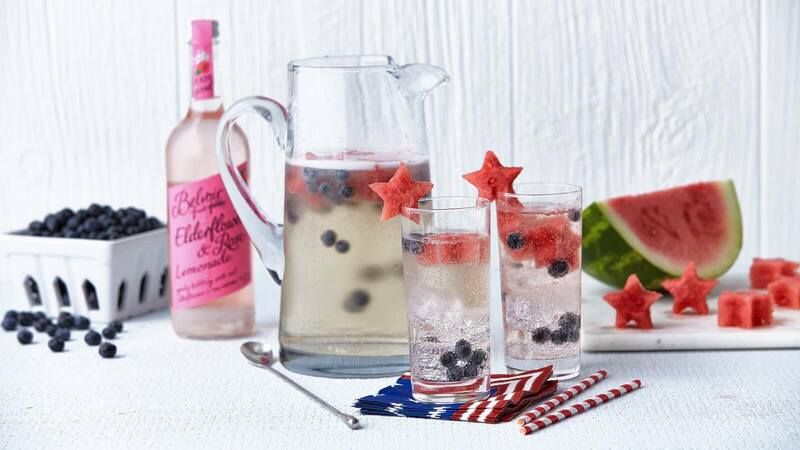 What better time to sip on something sparkling than New Year’s Eve? Our bright Blueberry Champagne Spritzer features blueberry simple syrup that’s easy to make and lasts in the refrigerator for up to three weeks. 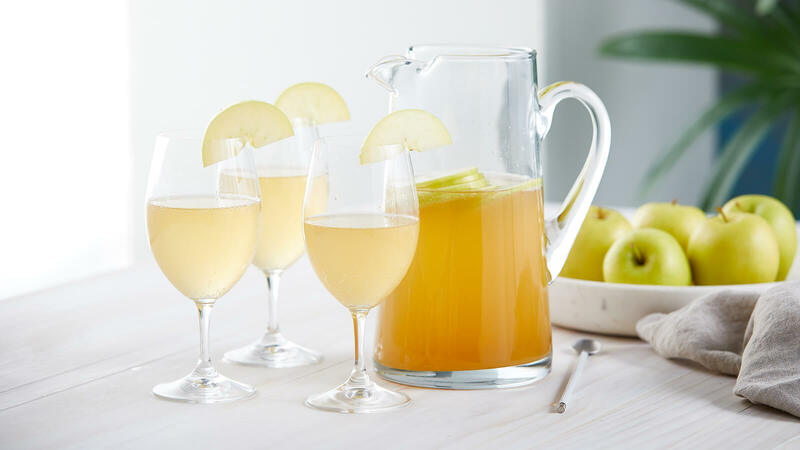 Our two-ingredient Sparkling Honey Ginger Prosecco is always a hit, and our Sparkling Elderflower Spritzer is equal parts pretty and palate-pleasing. Originally from the Burgundy region of France, Chardonnay is now grown everywhere from California to New Zealand. The green-skinned grape itself is very neutral, with most of its flavor nuances stemming from terroir (i.e. a specific region's climate, soil and terrain) and oak. Chardonnay aged in stainless steel tends to have flavors of green plum, apple and pear with crisp, mineral tones, while Chardonnay aged in oak barrels takes on fuller-bodied characteristics with tropical fruit flavors and a rich, buttery mouthfeel. Pro Tip: Remove Chardonnay from the ice bucket or refrigerator approximately 15 to 20 minutes before pouring to let it warm up to about 48 degrees. This will allow the aromas and flavors to best express themselves. Food Pairings: Pair your favorite Chardonnay with recipes that include creamy sauces, meaty fish or shellfish, simply-seasoned poultry, pork dishes or roasted vegetables. Fun Fact: Chardonnay is the most popular grape variety in the United States and the most widely planted white wine grape across the world. Americans consume over 840,000 bottles per year! 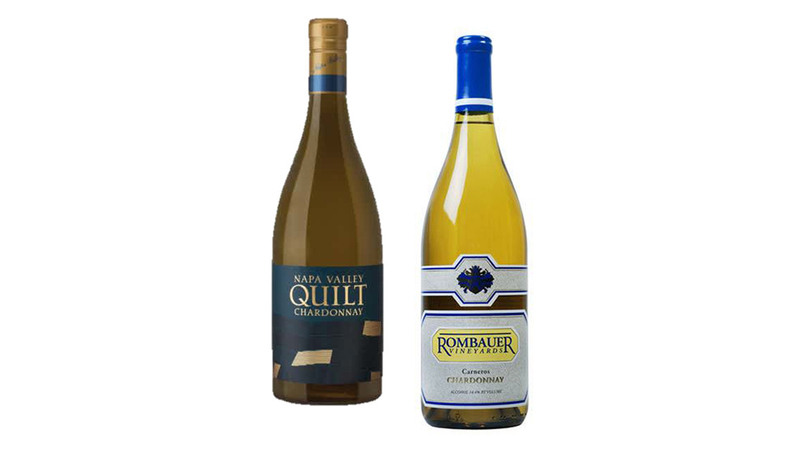 Quilt Napa Valley Chardonnay - Napa, CA - This medium-bodied Chardonnay offers aromas of apple tart, buttery toast, roasted almonds, fresh melon and lemon zest. On the palate, baked apple and vanilla mingle with notes of nectarine and cantaloupe. The finish is long and lingering. Rombauer Chardonnay - Another favorite from a family-owned winery, this elegant Napa Valley Chardonnay boasts enticing aromas of melon, mango and vanilla layered with butter, apricot and toasty oak. On the palate, Rombauer Chardonnay is rich and creamy, with an irresistible hint of spice. The aftertaste is citrusy and smooth, with a lingering, mouthwatering finish. Despite what some may think, the characteristic pink hue of rosé wine doesn’t come from a blend of red and white. Winemakers craft rosé by juicing red grapes and then allowing the juice to soak with the skins for a few days. Once the juice takes on a lovely pink color, the skins are removed and the juice is allowed to ferment. As far as the flavors and aromas of the wine itself, rosé can be very dry or fairly fruity depending on the region and winery. The fruit flavors often include cherry, strawberry and raspberry with some citrus and watermelon. Pro Tip: Look for rosé made from your favorite red wine grape. 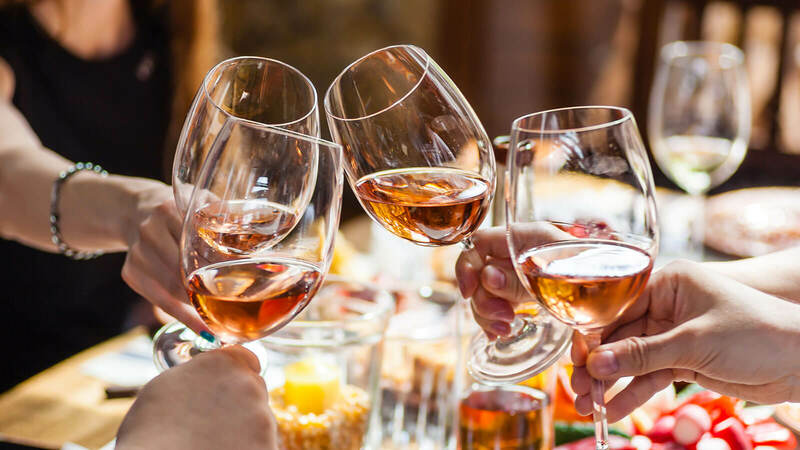 Nearly every major wine region in the world makes rosé, with grapes ranging from Tempranillo to Pinot Noir to Cabernet Sauvignon. Food Pairings: When it comes to food pairings, rosé wines are extremely versatile. Try them with light salads, sandwiches and wraps, salmon or grilled chicken. Fun Fact: Rose, unlike red wine, does not improve over the years so don’t get any ideas about hoarding it on your wine rack or in your cellar. This wine is meant to be drunk young and fresh so look for vintages in the current year but not more than two years back. 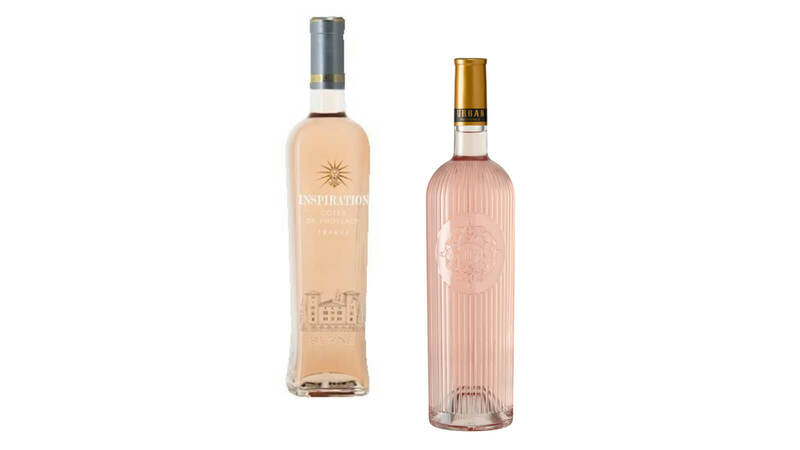 Château de Berne Inspiration Rosé (Côtes de Provence) – This rich, full wine is intensely fruity, with delicate aromas of cherry, cranberry and pomegranate. It’s a dry rosé, with weight and structure balanced by fresh, tart red fruit notes like fresh strawberry. Urban Provence Rosé – In the glass, this wine is bright pink with gorgeous hints of rose gold. Fresh aromas of wild strawberry and raspberry intertwine with hints of white pepper from the Syrah grape. Juicy and well-structured, Urban Provence offers tart cherry and floral notes with minerality and a touch of spice. Pinot Noir is one of the oldest grapes in the world—more than 1,000 years older than Cabernet Sauvignon. It dates back to the 1st century when monks cultivated the grape in the Burgundy region of France. The name “Pinot Noir” comes from the French words for “pine” and “black,” as the grapes are very dark in color, with bunches of them resembling pine cones. Pinot Noir grapes produce dry, fruit-forward wine with earthy layers. The grapes are notoriously difficult to grow, making a good bottle something worth coveting. Pro tip: Enjoy Pinot Noir in a large, round, bell-shaped glass. This shape helps collect the delicate aromas of Pinot Noir and enhance the overall drinking experience. Food pairings: Pinot Noir is one of the most versatile red wines for food pairing. Try it with simple meals like pizza or with chicken, salmon or richer meats. It’s also an ideal wine for Christmas dinner as it pairs nicely with ham, turkey and a variety of flavors. Fun Fact: Pinot Noir is nicknamed the “heartbreak” grape because it is thin-skinned and susceptible to all sorts of disasters in the vineyard. Small climate changes greatly affect ripening and can alter the taste profile, it is prone to disease and oxidizes easily in the winemaking process. It is a much riskier wine for both growers and winemakers than other popular reds. 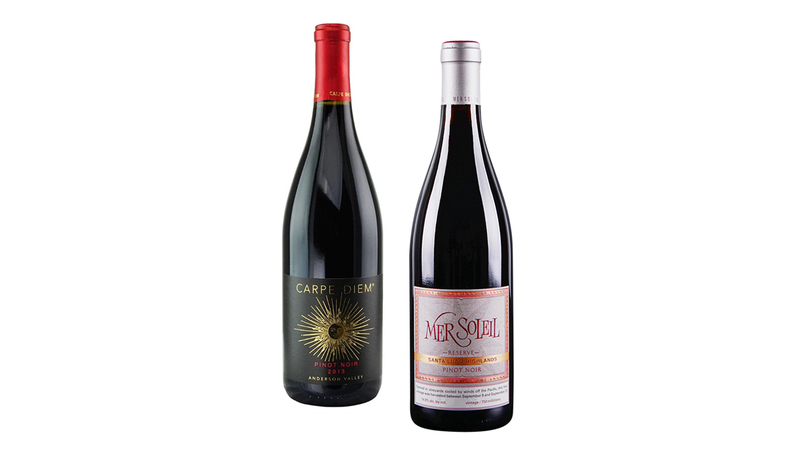 Carpe Diem Pinot Noir - Napa, California – This elegant Pinot Noir boasts aromas of exotic spice, flavors of black cherry and brisk acidity. Other flavors include layers of strawberry, herbs and rosehip, with a hint of nutty sweetness. 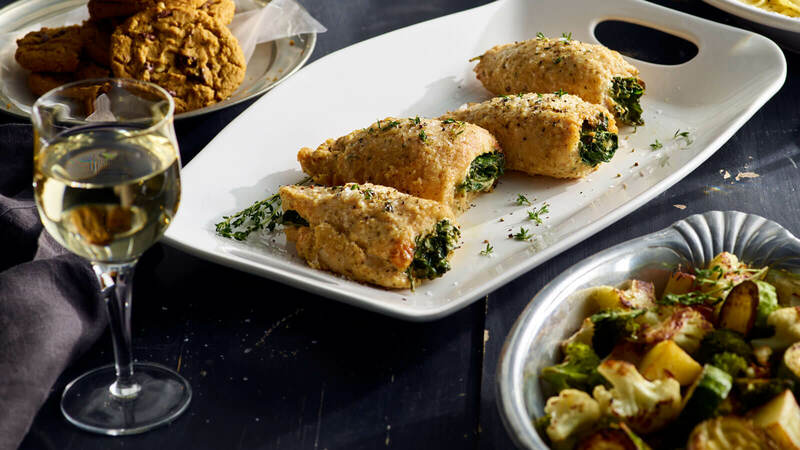 Pair with herbaceous grilled chicken or roasted root vegetables. Mer Soleil Santa Lucia Highlands Pinot Noir – Meaning “the sea and sun,” Mer Soleil owes its distinct characteristics to the California coast. This critically acclaimed wine is vibrant and fresh, with flavors of bright berries, spice and evocative earthiness. Grown in nearly every major wine-producing country, Cabernet Sauvignon is one of the world’s most widely recognized red wine grape varieties. It tends to be full-bodied, with notes of black cherry or black currant, high tannins and noticeable acidity that contribute to its aging potential. Cabernet Sauvignon responds exceptionally well to oak, which softens tannins and brings out gorgeous flavors of vanilla and spice that complement the rich fruit. Pro tip: Before serving, open the bottle of Cabernet Sauvignon and allow the wine to breathe for 15 to 20 minutes. Use large red wine glasses to allow ample room to swirl and aerate the wine enhancing the aromas and flavors. Food Pairings: The classic pairing with Cabernet is steak or lamb, but it pairs nicely with almost any meat (including roasts, duck and pork) as well as aged cheeses and mushroom dishes. Fun Fact: Cabernet Sauvignon tastes great with steak and there’s a reason why! Researchers studying the interaction of food in the mouth found that the grape tannins in Cabernet bond with fat molecules that collect on your tongue and release flavor. You end up with tannin in the wine softening the steak and the fat in the steak softening the wine. A perfect marriage! 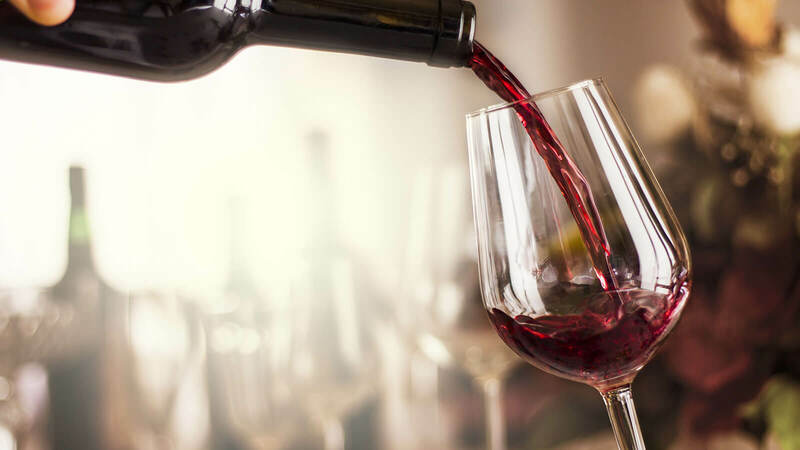 Sabotage Napa Valley Cabernet Sauvignon – Aromas of tobacco and black fruit lead to flavors of red, black and blue fruits along with a hint of currant, mocha and vanilla. Over time, the tannins will evolve and expand the lengthy finish. 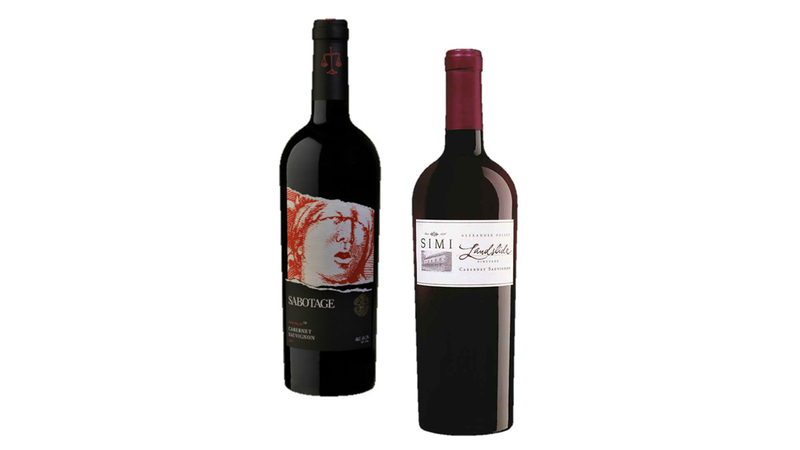 Simi Landslide Cabernet Sauvignon - Alexander Valley, Sonoma, CA – Black cherry and cassis aromas intertwine with pepper and spice in this ruby-red wine. On the palate, fresh fruit is framed by toasty, sweet oak, while the finish features ripe tannins and cocoa. Perfect for pairing with food!